Metheringham Airfield is located two miles to the east of Metheringham village on the B1189. The airfield opened in October 1943 as a Class ‘A’ bomber airfield within 5 Group. The standard three intersecting concrete runways were provided as were two T2 hangars and a B1. One of the T2s was on the technical site to the south-west, which straddled the B1189 and other was located off the eastern perimeter track. The bomb stores were to the north and between these and the north-west runway-head stood the B1 hangar. The communal and accommodation sites were located in fields to the south and west. Metheringham was also equipped with FIDO fog dispersal equipment. On 11 November 1943, the Lancasters of 106 Squadron arrived at Metheringham from Syerston, Nottinghamshire. This squadron would remain at the airfield for the duration of the war, disbanding 18 February 1946. ‘It was a terrible place, cold, bleak, isolated. 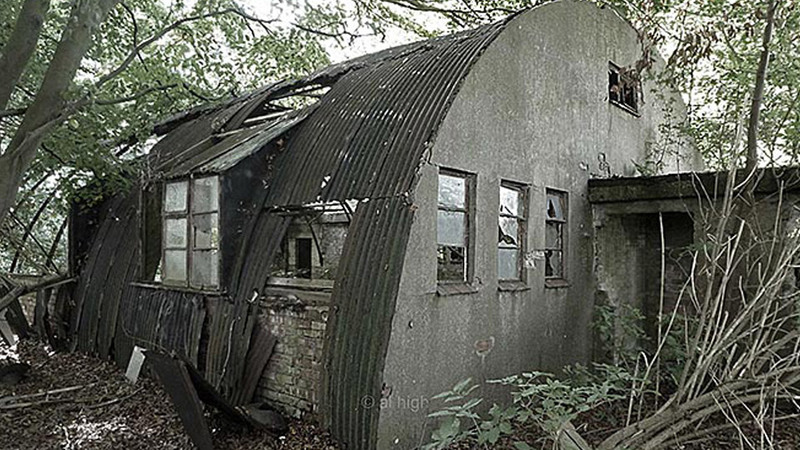 We faced a 2 mile walk to our huts which were as bad as you could find anywhere in the RAF. They were draughty, ran with condensation and we had so little fuel for the single stove that some of the Aussies on the squadron took to stealing other people’s doors to burn. By the time I left there was hardly a lavatory door left’ – Eric Brown, flight engineer, 106 Squadron. In September 1944, 1690 (Bomber Defence) Training Flight arrived, providing evasion training to local squadrons, leaving Metheringham in June 1945. Following the end of the war, 189 Squadron and 467 Squadron arrived at the airfield but this was only in order to disband and neither was operational. Parts of the runway and perimeter track still exist today still exist today and it is possible to drive where Lancasters once taxied and took off: the south-west to north-east subsidiary runway and eastern perimeter track are now public roads. Many of the technical site buildings still stand, either in use by various industries or, as in the case of the operations block, abandoned to the elements. The watch office is semi-derelict with most of the top floor missing. However, a long term project to restore this is in its early stages. 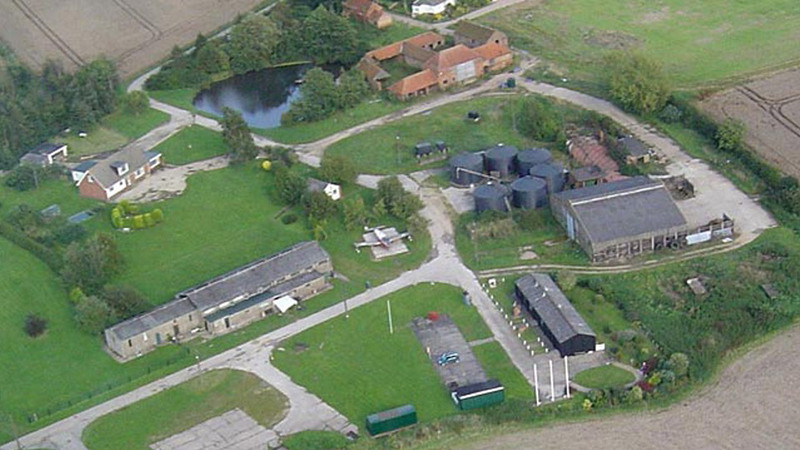 In addition, the communal site retains some of its buildings which form the Metheringham Airfield Visitors Centre. Off the perimeter track is the memorial to 106 Squadron.